I quietly entered the dimly lit auditorium and a great sense of “home” filled my heart. I had returned to the church I had helped start from nothing, planning and striving for months, pulling together a children’s ministry from nothing and a small group schedule that would connect people to each other. All my creativity and hours of work poured into the very foundation of reaching families in this space, in this community. It was here, in this church, that I spent week after week serving others, not attending church service for the sake of caring for little ones so their parents could attend. My view of the church was strictly from the frontline of kid ministry. On the rare occasion, when I snuck upstairs to the main service, I was struck deeply by the bigger picture of what God was doing. He was using our little Church to reach a generation that was far from God. I was privileged to play a tiny part in the real-life religion of grace and love, tears and redemption. In those first moments of the service, without fail, I would quietly cry, overwhelmed at the beauty of it all. It hasn’t always been this way. Church hasn’t always been good to me. I’m guessing if you have been in a church longer than one week, you have also experienced this. The Church is a living dichotomy, equal parts pain and pleasure. Church is the ugliness of sin and the breathtaking sight of perfection. It is the acceptance of the lost, while asking them to become found. It is the embrace of our darkness while challenging us to be the light. Church is getting your hands dirty in the mess of others without becoming “dirty” yourself. It’s showing up when no one else will. It’s wading through the emotions of those that hurt you, that gossip about you, that scar you, to see your faith through to the other side. “The Church” isn’t perfect. “The Church” is knee-deep in selfishness and wrong motives. That’s because “the Church” is us. The person sitting two rows back in service that lied right to my face. I have been publicly humiliated by the church more times than I can count. I have been dismissed and ridiculed behind closed doors, under the guise of “wise counsel.” I have been told who I am is not good enough and that my gender requires I step back in leadership and keep quiet. My heart has been torn, the very core of who I am called into question by those who were supposedly looking out for my best interests. My talents have been judged and picked apart. My money has been stolen and I have been promised things that never came to fruition. I have mentally quit the Church more than once, swearing an oath that it wouldn’t hurt me again. But in all the ugliness, the Church has also been my home. It calls when I am sick. It watches my kids when I have a last-minute meeting. It sits on my couch and listens as I gush over my latest personal revelation. It celebrates when I win and cries when I lose. It embraces me when I am new in town and loads my moving truck when I leave. As long as we are all in this thing, it’s never gonna be completely right. 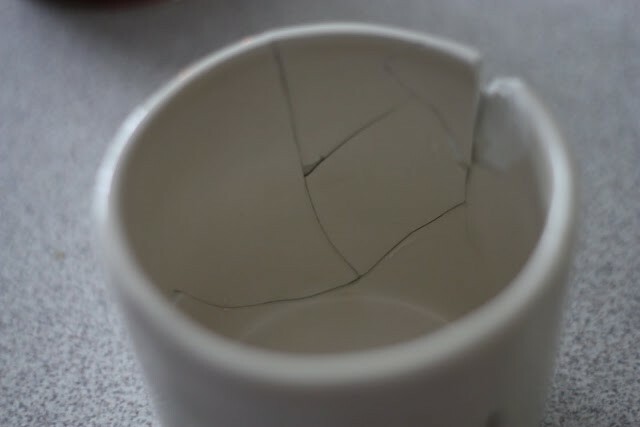 It will never be whole, the broken pieces precariously held together by super glue, balancing on the edge ever-so-slightly, always a worry of falling and breaking again. You will be hurt again. But as I inspect the patterned zig-zag cracks in my church, among the wounds inflicted by each fall, I uncover tales of love and acceptance. Remember that not all Church is bad. There are people out there, in the leadership of churches, willing to give everything to reach others- reach YOU- for God. We aren’t all bad. We aren’t all out to prove you wrong or elevate our own name. We stay up all night, praying for you to finally get this Jesus stuff. We cry alone, in our early morning prayers, beseeching God to heal your sick mom and overcome your depression. We show up every Sunday, not because we want to be on stage or because we want our name to say “Pastor” after it- we show up because we love Jesus and we love you, too. Are we perfect? Socially cool? Grammatically correct and perfectly polite? No way. Are we going to hurt your feelings? Probably. But I believe the good guys win in the end, no matter their faults. I’d like to believe there are still some good guys out there. I am sorry if you have been hurt by the Church. I hurt for you, tracing your scars with a careful hand, and hoping you will heal beyond this. There is hope to be found in the church. Just know this truth: the forgiveness you need to move forward is supernatural and cannot be found without Jesus. He must cut the scar back open, operate on the injury that never healed properly, and help you through the recovery process. There is no other way. 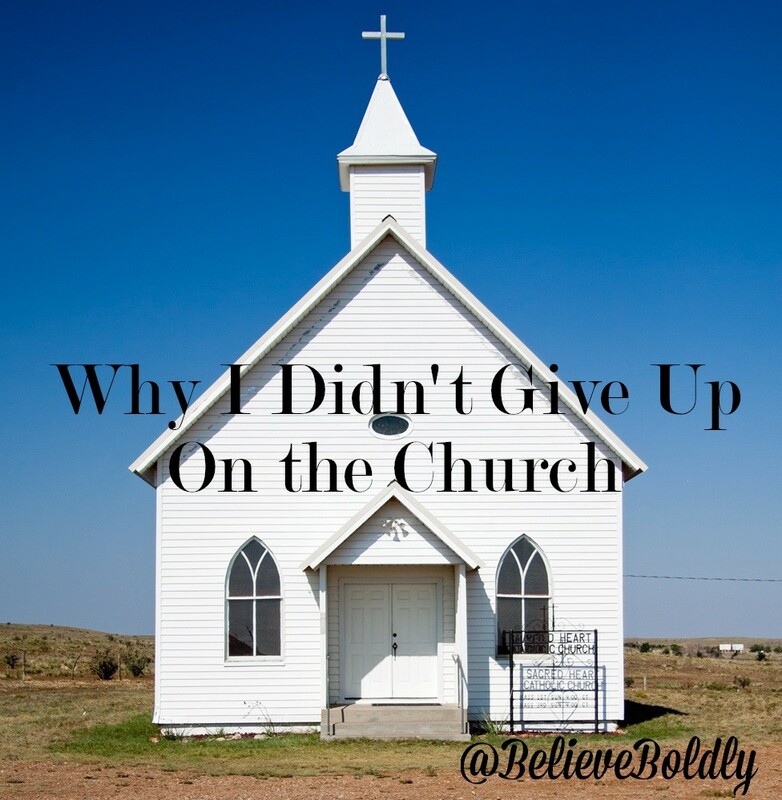 Dear friend, we must not give up on the Church. We are the scarred, the hurting, the mistake-makers, the ones who gather together in a unified symphony of second-chances and try-agains. We are the problem and we are the solution. And we are worth saving. How have you found healing from a past church experience? Leave a comment below and let’s start a dialogue. Maybe this is your time to heal. love this…. and so true. I have experienced some of the most wonderful/joyful times in church with my “family” and suffered some of the worse by the same hands. We are all broken and are desperate for Jesus and His redemption. Sharing this!!! So good. Thanks, Christy! I completely agree. Broken people create broken churches. As long as we are striving towards a common goal of becoming more like Jesus, we are on the right path. I love your perspective. I love that you haven’t given up. It’s easy to overlook the bigger picture when you’re hurting. Thanks for the reminder that this is all worth it. Love you! I really enjoyed your article. Thank you for saying some of the stuff about wanting to quit the church and or walking away from it all.. I found your article touching , poinang and encouraging. It is refreshing to hear others give God and the church another chance. We hear too many stories of people who leave the church never to return again and that is tragic and very sad. Lori- this is so true of my generation! If it doesn’t feel good or meet our needs at that exact moment, we walk away in selfishness. Sometimes church and faith aren’t about us AT ALL, and in those times we must work through the mess with people we may not like. If we don’t, we leave the church in the hands of those who should not be in charge and the church and our faith system will die. Somebody’s gotta fight for the good! Erica, this is so beautiful. I think one of the most surprising things I’ve learned in life is not that The Church will hurt me, but how long it will take to heal from those hurts. And how it sneaks back up on you at the most unexpected times. So this message here? It’s so needed – for anyone in The Church, no matter how many times we’ve been hurt or how long ago we were hurt. Good stuff, friend. Mary- such great insight! 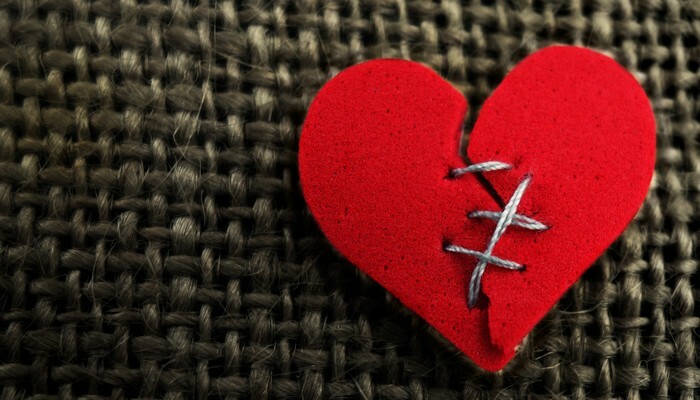 The minute you think you are past your hurts, they creep back up in your heart! It is a continual process that is not easy or pretty. Thanks for the thoughts! This post really hit home for me. I really hope that I can find a church where I feel at home again. I would really love it not only for me but for Charlotte too. I just need to get over the fear of putting myself out there again. Going to church is intimidating in and of itself, let alone wrapping past hurts into that! If you are feeling the pull from God to try again, then trust that He has something planned for you in that prompting! He doesn’t lead us places to abandon us once we get there- He has something up His sleeve for you to experience. The BIG question is, are you willing to meet Him there? I’ll be praying for you to be BOLD and BRAVE as you follow this and that God will begin to heal the past. You got this!